As the fall preseason comes to an end, Florida Atlantic University baseball is pleased to unveil the program’s 2019 schedule in full, beginning with a three-game homestand versus Cincinnati on Feb. 15. Including opening weekend, the Owls will be at FAU Baseball Stadium for 18 of the team’s first 21 matchups. 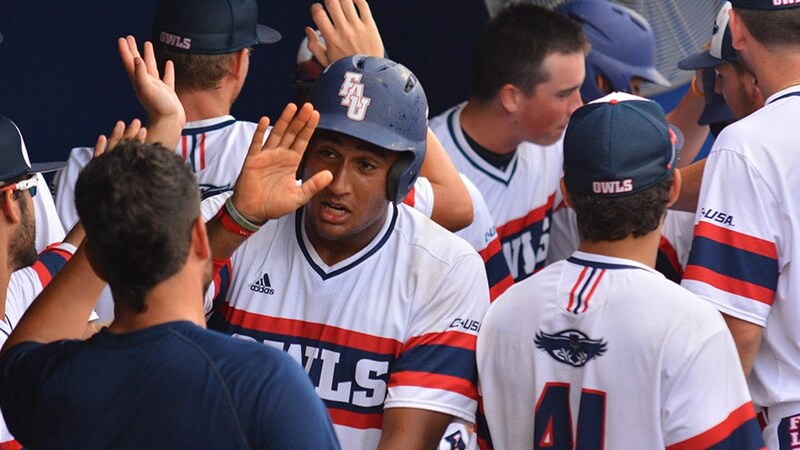 The final three games in that span, from March 15-17, is FAU’s 2019 Conference USA opening series, hosting the Rice Owls. Non-conference weekend series for the Owls, at home, will come against the aforementioned UC Bearcats, along with Illinois (Feb. 22-24), Monmouth (March 1-3) and Northeastern (March 8-10). There will also be midweek games hosting Appalachian State and Quinnipiac in that timeframe. In addition to Rice, other C-USA schools traveling into Boca Raton this season are FIU, Louisiana Tech and Old Dominion. The final regular season series of the season, which will include Senior Day, is versus league foe Middle Tennessee, May 16-18. This season’s away conference slate sees the Owls hitting the road against UAB, Charlotte, WKU, Southern Mississippi and UTSA. The team will have a two-week stretch away from home in early-to-mid May, bookended by series against Southern Miss and UTSA, but also including two non-conference games at Sam Houston State and Houston, facing off against each of those teams for the first time in school history. The C-USA Championship returns again next season to MGM Park in Biloxi, Mississippi, and is set for May 22-26. NCAA Regionals are scheduled to begin on May 31, 2019, Super Regionals the following Friday (June 7), and the 2019 College World Series will be held as always in Omaha, Nebraska, from June 15-26.